Buddhadeb Guha is popular Bengali Fiction writer of India. He was born 29 June 1936 in Kolkata and spend his early age in Bangladesh. He is popular among India and Bangladesh. Pamri, Babli, Modhukori, Holud Bosonto, Koyeler Kache, Ektu Ushnotar Jonno etc are his popular books. 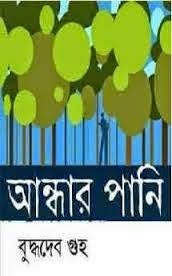 Download Buddhadev Guha Books and Read Andhar Pani by Buddhadev Guha.